This high performance valve was developed for the dispensing of liquids in a viscosity range of up to 2000 mPas.The volume range reaches from 8 nl up to 10 μl per dispensing cycle. 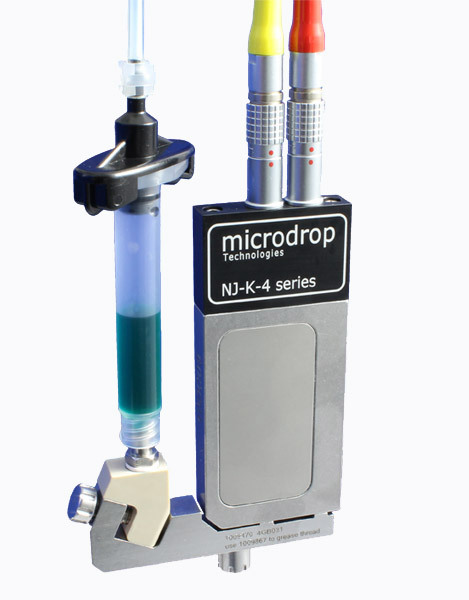 The liquids are transferred without impact of the nozzle just as with all other microdrop microdispenser systems. In combination with the very precise switching performance of the piezovalve this results in a very high volume accuracy of < 1%. 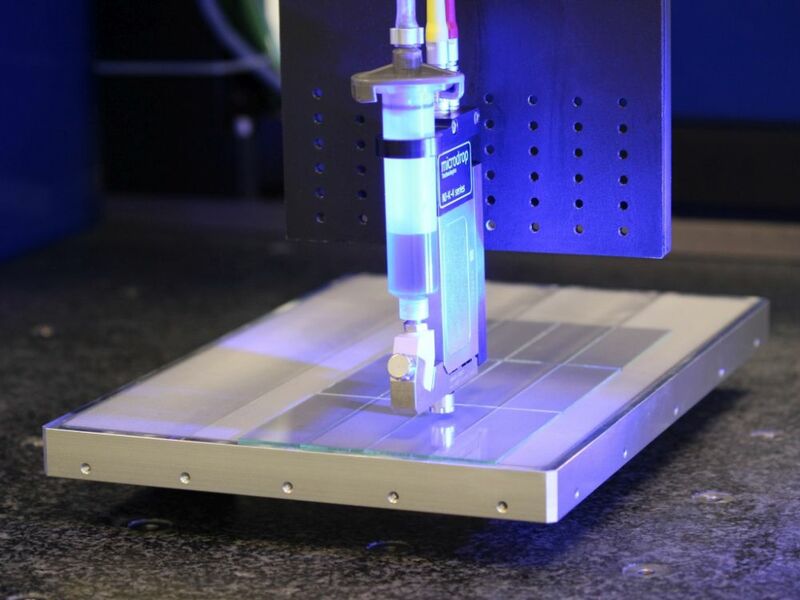 The improved system allows automatically identification of the valve and its spezific piezo calibration data. The intelligent upgraded processor guaratees a very precise and linear time base (advanced timing). The number of dispensing cycles are counted and stored in the valve (cyclecount), which enables the user to include individual maintainance concepts in dependence of the dispensing process. The flat design, with a thickness of only 10 mm, allows the combination of several valves in a compact array. External control via a host computer is possible with interfaces like RS232C, RS485, SPS or others. The dispenser nozzles can be exchanged even by an unskilled user. This is possible due to the patented quickexchange system which reduces down times, due to nozzle clogging, to a minimum. Besides, the system ensures resistance also agains unusual operating errors.